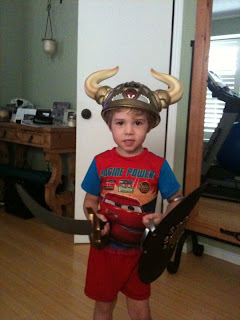 Thanks to the movie How To Train Your Dragon, Fussypants thinks he is a Viking Dragon Slayer. Friday night, he charged me in the hall, brandishing his sword and wearing his Knight helmet. 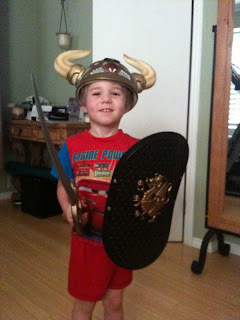 When I asked him if he was playing Knights he said “no, I’m a Viking”. So naturally I asked him why he wasn’t wearing his Viking helmet. 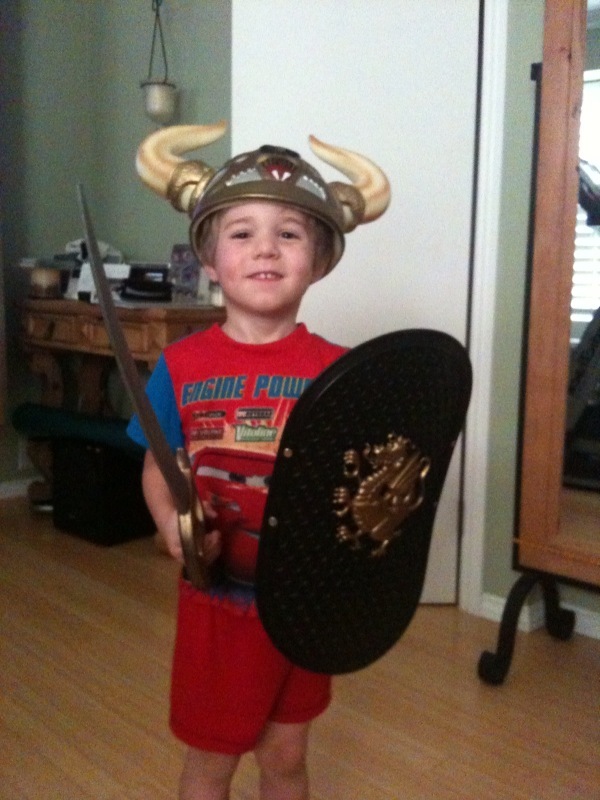 He said he didn’t have a Viking helmet. I do?, he asked, with awe and hope. 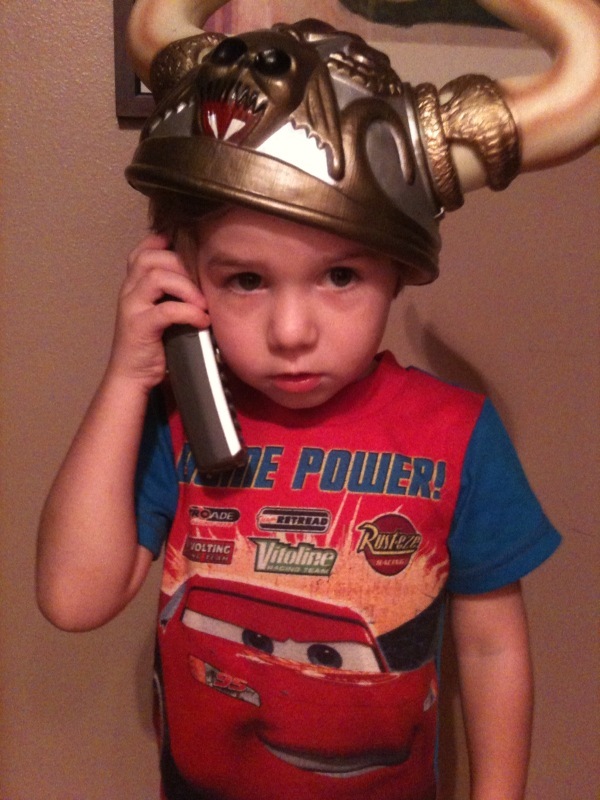 Then trust me, you have a Viking helmet! In fact, he has more than one as do many of my friends (*ahem* Sue, Marcy, Aprille, Patty) who have attended the Labor Day International Street Fair with me. The right mix of good company and plentiful cocktails always seems to warrant a Viking helmet purchase. And for Fussypants, my alcohol-induced spontaneous purchase made his day. 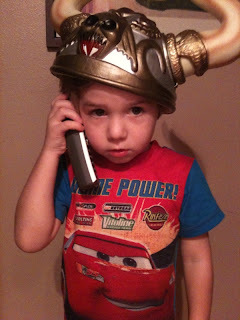 He told me he really, really, really, really, really, really loved his Viking helmet because it’s kinda awesome! The last photo is him taking a break from playing to talk to his Nana and Grandpa. What a strange purchase indeed, but I'm glad it is being put to good use.